NEW BRITAIN - The Innovation girls volleyball team is getting its shot at a second straight conference title. 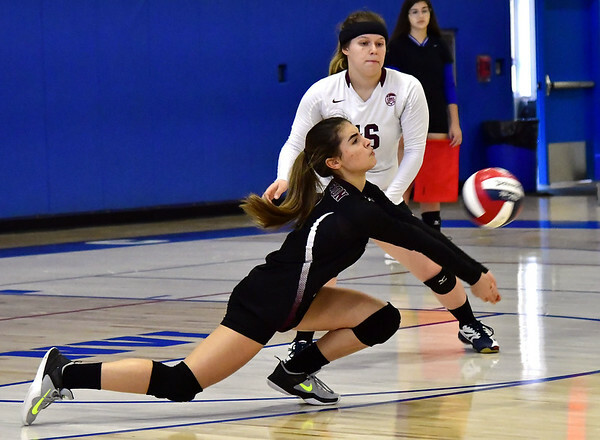 The Ravens had few issues in the CRAL semifinals Tuesday afternoon, sweeping MLC. Innovation will play the winner of Aerospace/Civic Leadership Thursday night at 5 p.m. at Innovation. The Ravens have beaten both teams twice this season already. The Ravens (18-3) appear primed to do so. They won Tuesday’s match behind set scored of 25-7, 25-2 and 25-7. Among the notable performances for Innovation was Aaliyah Walker (4 kills, 2 blocks) and Danelys Baez-Arroyo (7 aces). Lance was even able to get some of his younger players some valuable postseason experience. Southington 1, Northwest Catholic 0: Bryce Worth made sure to end what has been a tough season for the Blue Knights on a high note. Worth scored the match’s lone goal 2:20 into the game after he picked up a loose ball in the box and sunk the ball into the back of the net. John Griffin saved all four shots in goal for Southington, which finished its season 3-11-2. Posted in New Britain Herald, Innovation, Southington on Tuesday, 30 October 2018 20:02. Updated: Tuesday, 30 October 2018 20:04.